Surgery allows conception to be a natural process without the use of hormones or medications. The surgery is a one-day, outpatient procedure with a quick recovery time. Other procedures can require constant doctor’s visits. Once a woman’s fallopian tubes are restored, she can conceive as many times as possible. 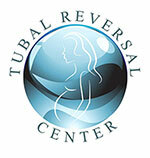 Tubal ligation reversal with Dr. Morice is only $5,250. If you are a good candidate, this is a small price to pay for the high likelihood of being able to restore your fertility and have more children without having to go through IVF. Some patients report post-tubal ligation syndrome after their ligation. Tubal reversal surgery can help end those unwanted symptoms by restoring fertility. Also, the surgery allows Dr. Morice to remove any scar tissue from the ligation that may be causing pain. Restoring fertility allows some women to feel better about themselves after a tubal ligation. Perhaps they had regret about their sterilization or just didn’t feel right about it. Reversal helps end those feelings.